Businesses across the South East Midlands are being given the chance to help shape the content of future Velocity workshops. The workshops, which have proven extremely popular since their launch last year and have regularly been fully booked several weeks in advance, will play a pivotal role in Velocity’s future business support programme. 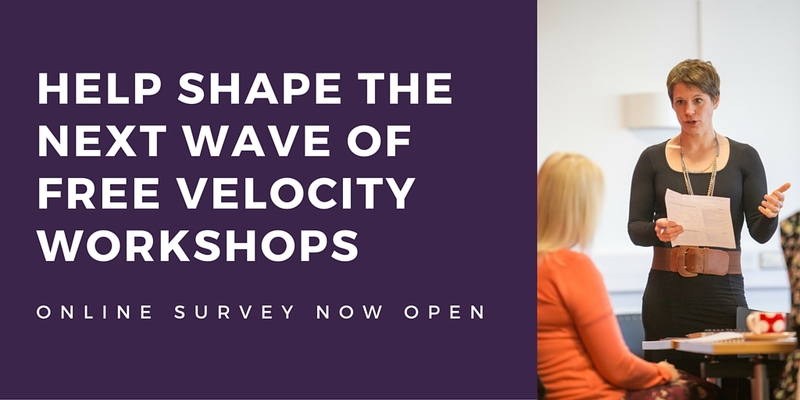 To help shape their future content, and decide which topics we should focus on, Velocity is giving local businesses the opportunity to have their say on what they would like to see included with a new survey crowdsourcing opinions. The survey is quick and easy and takes just a few minutes to complete. Click here to have your say and tell us what workshops you’d like to see offered in the future.